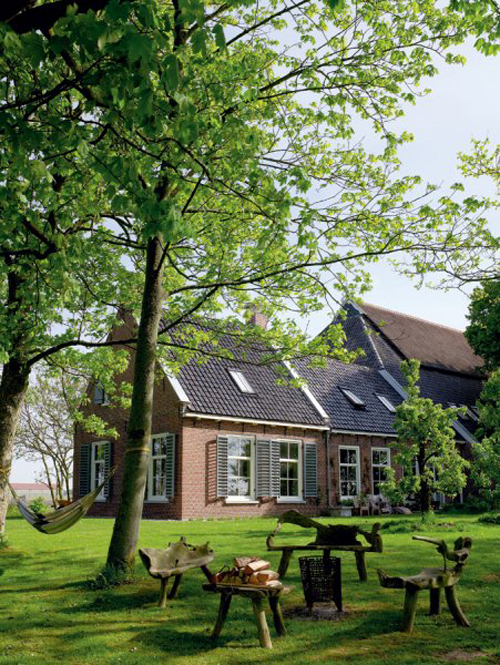 This beautiful eighteenth century farmhouse is located in the middle of the Dutch country side. It took the owners five years of work to create the perfect home. 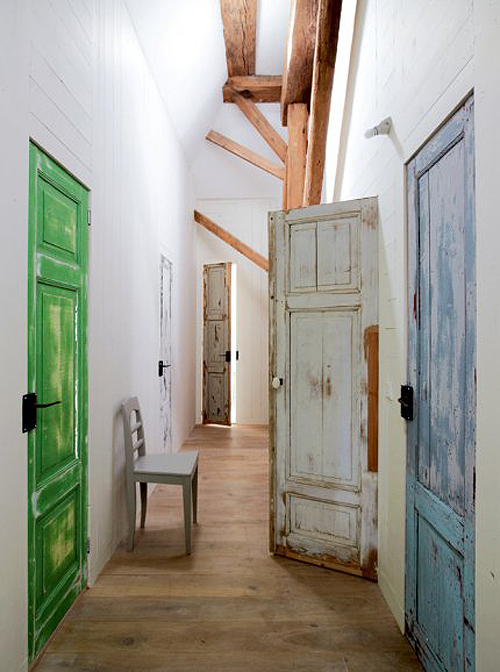 On the ground floor of this old farmhouse there is the kitchen, a living room, dining room and two offices. Upstairs there are eight bed rooms for family and guests. I love the kitchen (image above) with the zelliges on the wall. 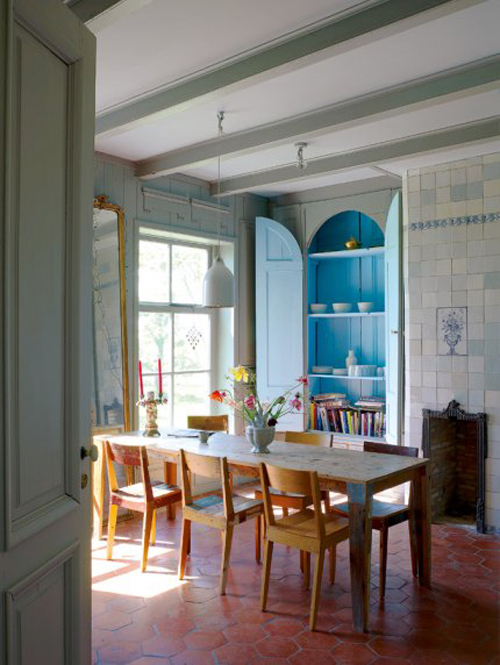 Throughout the entire house shades of blue, white and grey paint (from Farrow & Ball) have been used. 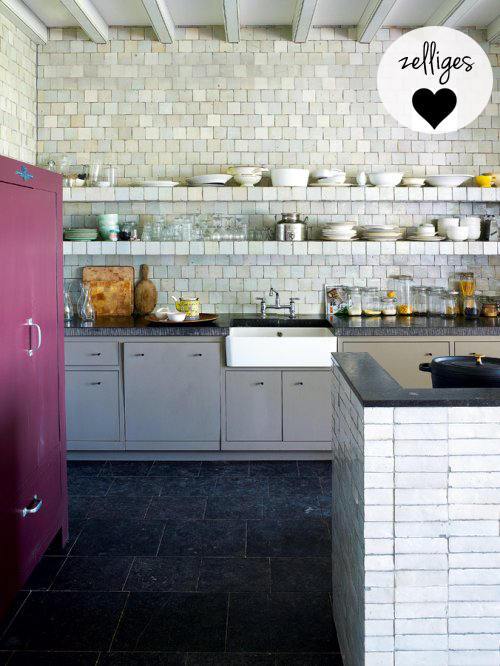 A joyous mishmash of furniture gives the kitchen character. 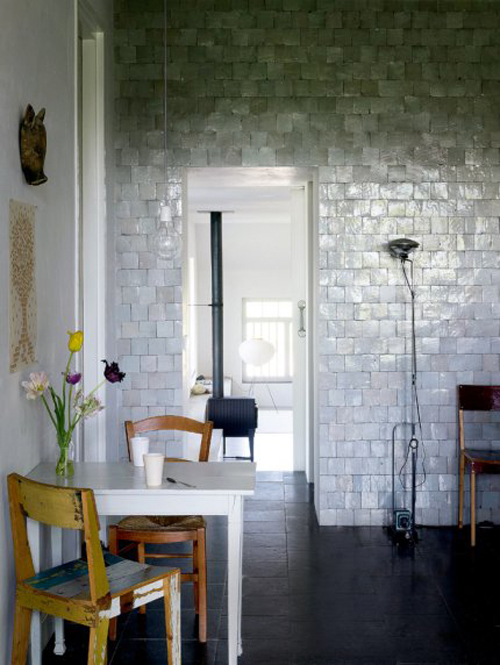 The grey tiles (from Emery & Cie) contrast beautifully with the dark floor of the room. 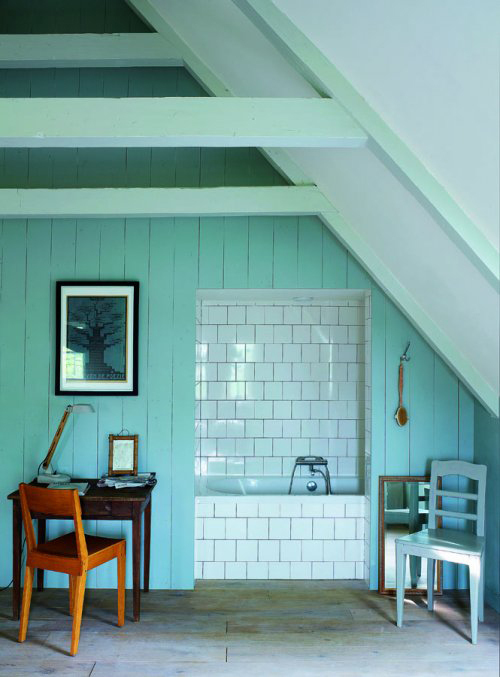 A gorgeous shade of bright blue has been used for the guest bedroom and bathroom. This is a perfect house — so lovely and serene. Love the whole thing! Thanks !